Tools like the Internet and cell phones make people more connected and often even more aware of the world around them in terms of information. Unfortunately, having information and connection doesn’t solve the problems many people struggle with and substance abuse is one of them. According to the Financial Post, Canada’s illegal drug trade hit a 30-year high in 2007 and the problem continues to grow. Community support workers are being trained in using naloxone kits to help reverse fentanyl overdoses, prescription medications are being limited and criminal groups involved in the drug trade are on the rise as well. The drug problem in Canada isn’t an easy one to understand and is even harder to solve with a lack of understanding around what substance abuse is along with the different kinds of substance abuse, drug use and addictions. Within our own networks of family and friends, there may well be someone dealing with substance abuse. Statistics Canada reports that in 2012 about six million Canadians met the criteria for a substance abuse disorder. The population of Canada in 2012 was 34.75 million, making substance abuse and addiction something 1 in every 6 people dealt with. Add family and friends to the equation and facing substance abuse personally, or as a potential support person, hits an even wider audience. Substance abuse isn’t something “other people” deal with. It’s in every demographic of Canadian society. Rich or poor, male or female, employed or unemployed – no one is immune to the dangers. For example, one of the most common substance abuse issues is painkillers. People who originally took prescription drugs for pain can quickly become addicted even if they never illustrated addictive traits previously. Understanding is key. 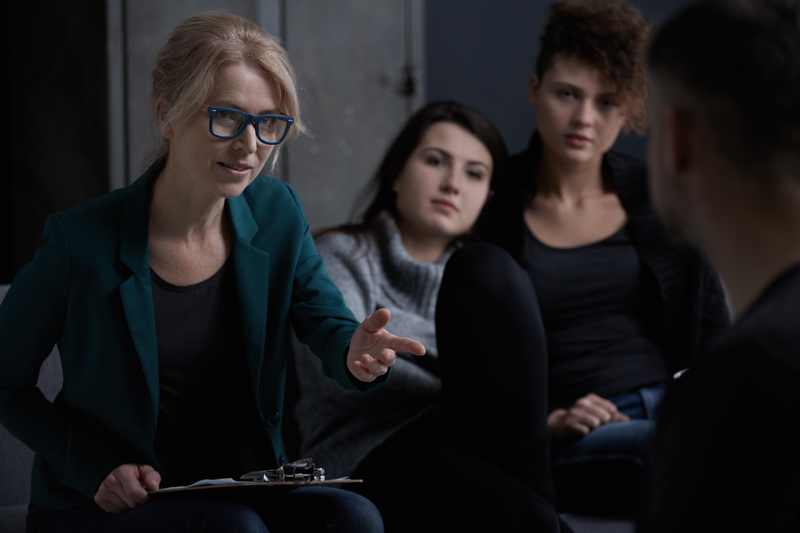 For those supporting someone with a substance abuse issue, judgement must be left behind and compassion needs to be first and foremost in what can be a difficult and volatile relationship. While understanding and compassion are essential to helping someone, suggestions play a part as well and pointing someone who is addicted to a community support worker, or an addiction program can be helpful if the time is right. Drugs, alcohol and other substances make the news at an alarming rate due to the number of overdoses, related accidents and deaths. Education needs to start much younger than most people would like to believe. Fortunately, in B.C., the province’s education minister agrees that substance abuse education needs to be constant throughout school years. In fact, the physical and health curriculum starts in kindergarten, but schools themselves choose how to apply that education. Parents and other community members can contact their schools and school districts to request increased educational options around substance abuse. These tools go beyond “what is substance abuse?” and move into understanding different types of substances (like medications and poisons) and how to prevent personal harm in the preschool years. As children move into grades 5 through 10, psychoactive substances, risk management and physical and emotional aspects around drug and substance abuse are integrated into the curriculum. Education for students in grades 11 and 12 are still in development according to the ministry. For those already struggling with addiction, finding the strength to ask for help isn’t easy. It can also be a challenge to determine what the right course of action is for those who are ready to walk the road to recovery. Community support workers play an integral role here as well. Not only do many support workers work within the programs that provide help, others work in the community to educate those addicted and those in their circle of family and friends about options in terms of programs and what may be the right fit for specific needs. National resources include options like the Kids Help Phone (Canada’s only counselling and information service for kids and youth providing anonymous support), the Canadian Centre on Substance Use and Addiction (leadership in reducing the harm of alcohol and drugs), Drug Free Kids Canada (tools for parents to talk to kids), the Centre for Addiction and Mental Health (the country’s largest hospital for mental health and addiction) and the Canadian Assembly of Narcotics Anonymous (working to provide information and services to people recovering from substance abuse). Each province also has a range of supports. In B.C., HealthLink BC is staffed by community support workers, nurses, doctors and others so that anyone who calls 811 can obtain answers to health and addiction questions. BC Mental Health and Substance Use Services provides support to those dealing with mental health and addiction issues and the Kelty Mental Health Resource Centre provides information and resources around mental health and substance abuse for children, youth and their families. Of course there are hundreds of other resources in the province from Alcoholics and Narcotics Anonymous programs to private facilities and numerous other options. This alone is a strong reason for connecting with a community support worker at one of the larger provincial bodies. They can help individuals with addiction, their family and/or friends determine the best course of action. For those unfamiliar with the issues, the frequent pairing of mental health issues and addiction may seem unusual. However, the two issues are commonly linked. While not everyone with mental health challenges develops a substance abuse issue, many do and those individuals may turn to addiction to help mask the pain. However, it can certainly become a “chicken and egg” type of scenario when dealing with addiction and mental health and community support workers are often challenged to work on both aspects at the same time when an individual is ready to enter a recovery program. This dual approach is often the most successful way to help those dealing with addiction because a person with a mental health disorder is twice as likely to have a substance abuse problem as a person without a mental health disorder. Addiction is also now identified as a mental health issue of its own so those not dealing with “traditional” mental health issues will still benefit from the mental health work specific to addiction. Plus, those who go through recovery may find themselves dealing with the challenges of depression, anxiety or excessive anger and may need the additional mental health tools to find their way to recovery. It’s time to be open and honest about substance abuse and addiction. We, as a society, can make a difference by being supportive and understanding – appreciating that it may be our neighbour, our co-worker, our child or our best friend who is suffering.